Let It Snow, Let It Snow …Blood. 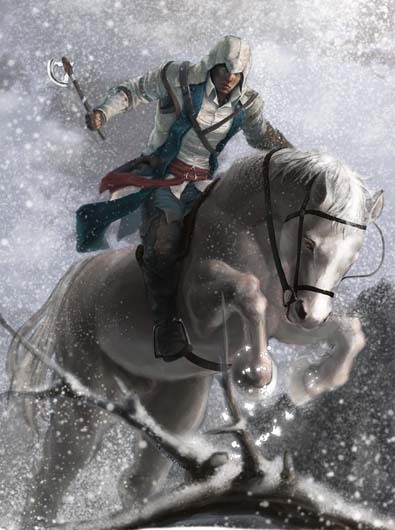 I saw a “Let it Snow” comment on dA about this masterpiece illustration of Connor Kenway from Assassin’s Creed 3. This was created by the Japanese artist ebonykkk and when i thought about the snow there..well…damn.when Connor is doing what he is doing best, the pure white snow will change it`s color into deep red in no time.